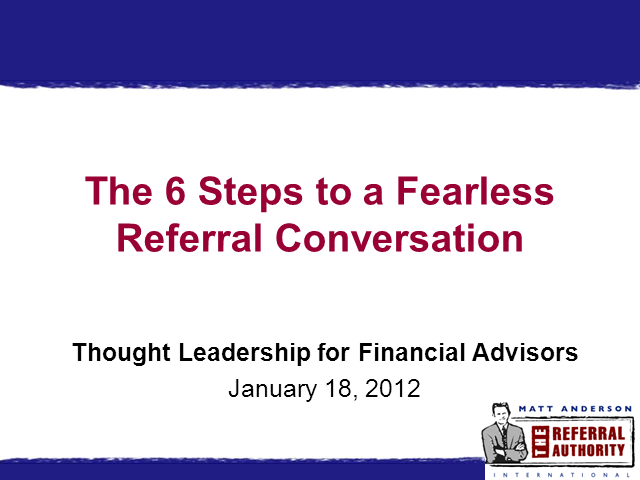 In this webcast you will learn the most important pieces to a quality referral conversation so you can get more prospects. I will also cover when and how to use these steps so they feel comfortable as you practice them. If you love word of mouth business, this is a crucial area not just to 'know' but to use and master so you can reap the rewards of a relationship-based way to grow your business.